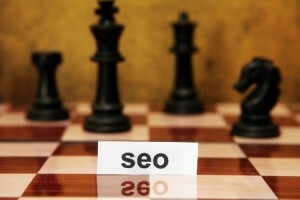 Breaking into a new series of keywords can be a significant challenge in this day and age. With so much competition now saturating SERPs, it is important to know what you’re getting into before you begin making any moves. Fortunately, it is now pretty easy to determine what a particular SERP or set of keywords look like in terms of competitiveness before you make any significant commitments. Keyword and competitor analysis are two important elements of assessing competition in SEO, and we want to be sure that you have the tools and knowledge necessary to undertake this task. Below, we’ll talk about how you can assess the competition’s current standing in a particular category or SERP, helping you to make the best decision about how to act. Before you can adequately assess what the level of competition in a given SERP or set of SERPs looks like, you’ll need to know who your competitors are. You should already have a list of keywords that you plan to target at this point, so quickly perform a search on each and make a list of who the top five results are in each one. There is likely to be some overlap; this will give you an idea of who is pinging links most effectively, and who may not be properly positioned across multiple keywords (but is still a competitor nonetheless). After conducting this, you will have a list of all of your potential competitors. From here, consider in how many cases each competitor placed in the top 5 – isolate the five most prevalent, and you now have your primary competitors determined. The next step in assessing competitiveness is comparing the amount of work you’re willing to do with the amount of work they’ve already done. Start this process out by using a tool to determine how many words are on each page listed in SERPs for your top 5 competitors. This not only will give you an idea of what is “ideal” for ranking, but will also let you know how much work will need to be done on your part with respect to content creation to overcome them. Next, use a similar tool to determine how many outbound and inbound links they have on their pages. Lastly, assess the pages for any additional keywords that they may be targeting alongside the obvious ones based on the SERPs. Last but definitely not least, it is now time to figure out what their social situation entails. While social signals and clout do not comprise a huge chunk of ranking algorithms, they nevertheless are important and should be considered (there are secondary reasons for this as well, such as the amount of traffic they are driving to search from outside sources). Tools exist to help you figure out how they are pinging links and which forms of content are being shared the most from their social profiles. In addition to this, other tools exist to help you track down all of a competitor’s social profiles in order to properly assess their overall social presence. This will allow you to compare your existing efforts and reach to theirs, and determine whether or not you are ready to go toe-to-toe against them for better search rankings. Your web site is very help full site. I am looking this.